We are a small manufacturer from the south of Germany. Since more than 15 years we deal with cats and their needs (important for a happy and long life. If cats love their toy, then it will be strained! Claws and teeth are a hardness test, therefore we use best quality and natural and organic materials. All products are manufactured with great care and attention to detail. We develop our own blend of CatNip / Valerian mix out of organic herbs. So be sure: at Profeline you find cat toys of the best quality for the highest demands. All toys are tested by our own cats Lilly, Maja and Boris. They live in our household, and they have a lot of fun to perform nice pictures for you. We love cats and we live this passion every day. Profeline – out of love for cats! The fabric is heavy-duty, stuffed with fiberfill and filled with (contains) our special fragrant CatNip / Valerian mix. There are different shapes and sizes. All of them are perfect for cats to kick and snuggle – for hours of (exciting) playtime. Each toy is made of 100% organic cotton and packed airtight. All Made in Germany. Our fabric with its woven backside and the 8 mm open fibers made of a Cotton / Polyester mix is very durable. Filled with our popular CatNip / Valerian mix – airtight packed. 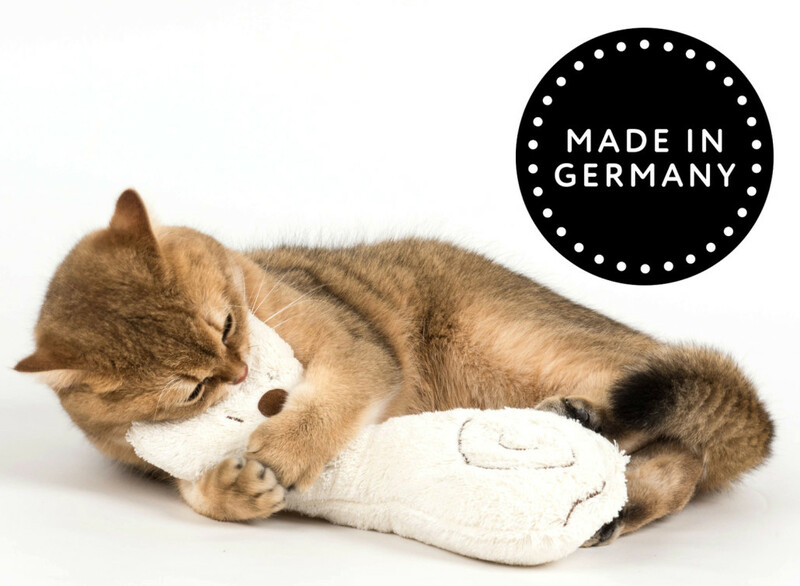 The toys fit perfectly between your cat´s paws, so they can kick or cuddle them undisturbed while enjoying the stimulating aroma of our CatNip / Valerian mix – the ultimate fun for your cat. the hunt of the attractive attachments inspires every cat. Our range of interchangeable attachments are suitable for all cat wands with a clip. Simply choose another attachment and play away – be sure your cat will be bewitched. A selection of different real furs. Good to know: all our furs are tanned and sewn in a traditional German tannery. Let the hunt begin with a clear conscience of furs you can trust. Cat toys made of 100% wool. Felted by hand in a trendy black and white design. 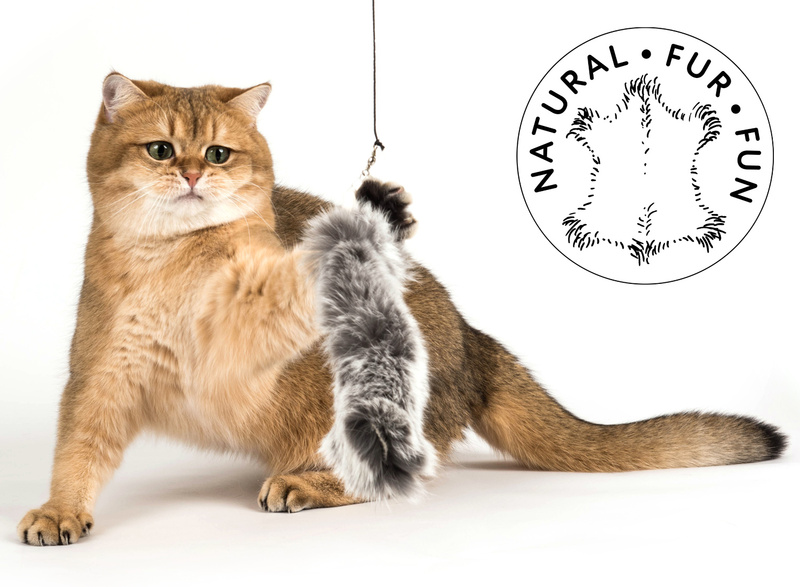 Ranges from rustling balls to extraordinary cat rods with soft hand loop – there is something for every cat. Nobel, unique, durable and hygienic this is our range of real big cat toys. 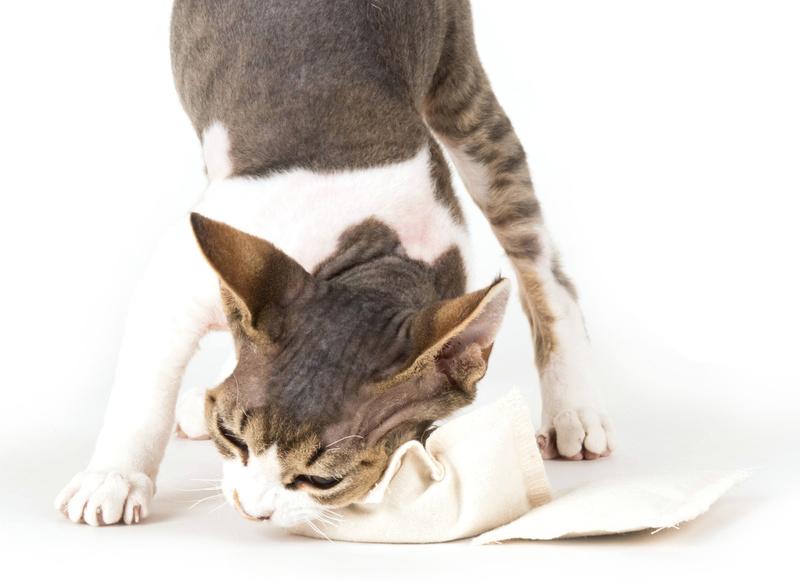 They are characterized by a pocket, so you can easily remove the pouches with our Catnip / Valerian mix before washing – or you replace with our fragrant refills – the fresh scent makes the toy attractive for your cat for a long time. If you are interested, please request our price list for retailers. Please enclose business registration or business licence!